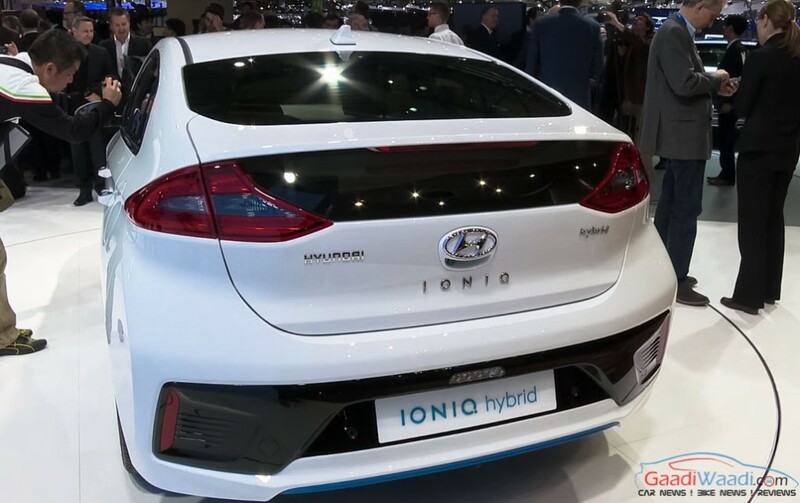 Hyundai Ioniq finally makes it to the European continent, when the South Korean automaker unveiled the car at the Geneva Motor Show 2016. 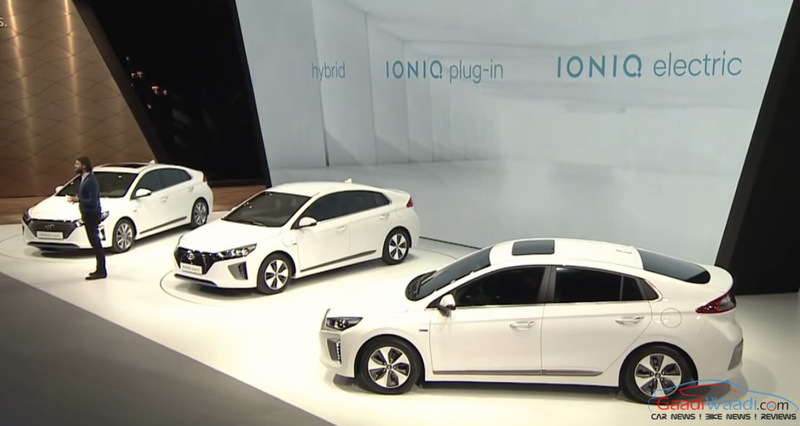 The Ioniq is the first car in the world to get three different hybrid powertrains. Hyundai’s first dedicated hybrid car gets a conventional hybrid, plug in hybrid and pure electric powertrain under the hood. That certainly makes the car special. Although a late entrant in the hybrid segment, but Hyundai already got much hype for this model. 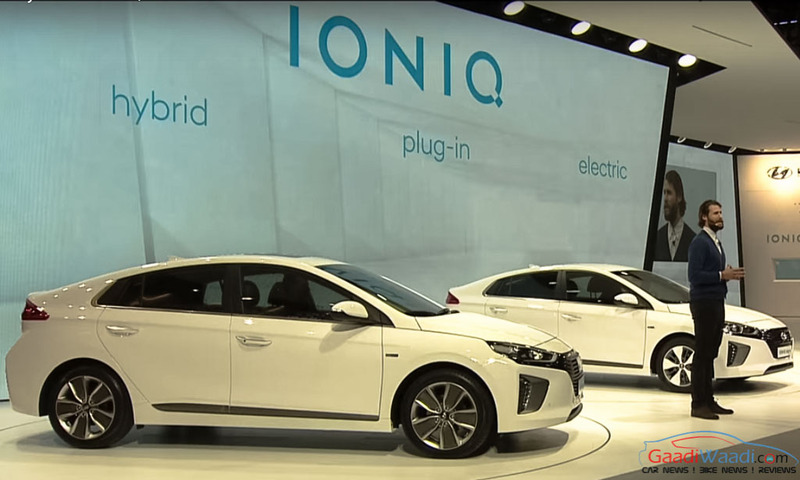 Ioniq is 4470 mm long, 1820 mm wide and 1450 mm at height, and it has a wheelbase of 2700 mm. Compared to the Toyota Prius, which will be its toughest rival, the Ioniq looks way better. It sports the present Hyundai design language with the hexagonal grille and sleek headlamps. The vertically placed LED daytime running lights look similar to the Toyota Prius. Ioniq sports short overhangs and a hatchback like rear end while the interior looks sporty, as it gets a complete black colour scheme. Hyundai Ioniq gets the juice from a 1.6 litre Kappa GDi four-cylinder petrol engine mated to a 6-speed dual clutch transmission, producing 104 hp peak power and 147 Nm peak torque. The electric motor on the other hand generates 43 hp power and 170 Nm of torque. Combining the petrol motor and the electric unit the hybrid system produces a total of 139 hp peak power and 265 Nm peak torque. The 1.56 kWh lithium-ion polymer battery which powers the electric motor delivers impressive charging and discharging performance, therefore optimising the high voltage motor for better performance and higher fuel economy. Ioniq is built on a lightweight aluminium body frame which makes the car fast going and fuel efficient. The hood, front and rear back beam, tailgate, suspension set up at both front and rear wheels get aluminium. 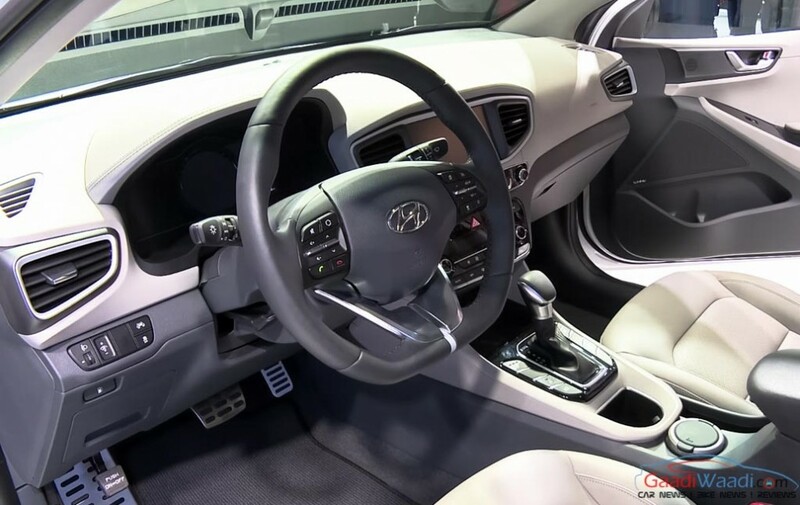 Hyundai’s first dedicated hybrid car gets several safety features like Autonomous Emergency Braking, lane keep assist system, blind spot detection.